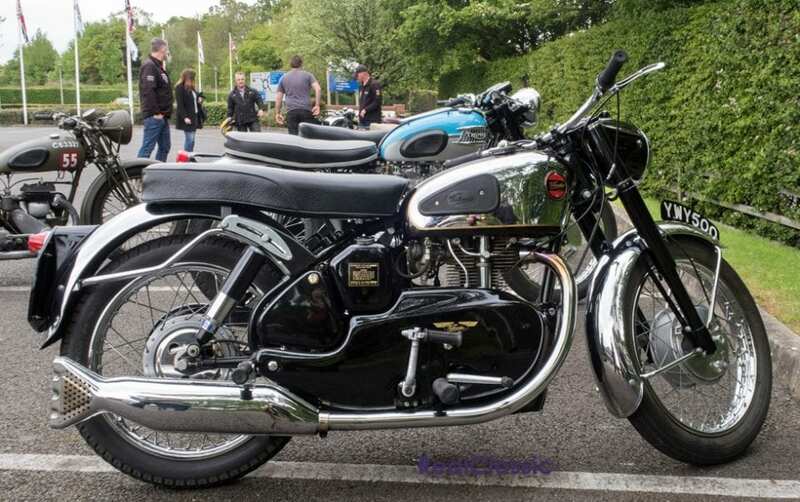 One of the benefits of becoming an official ‘Friend’ of the National Motorcycle Museum is that, besides free entrance to the museum and other goodies, they invite you to events like last weekend’s ‘Try A Classic Bike’ training day. For the nominal sum of £10 to cover insurance you get to ride a number of the museum’s exhibits around a safe course set up in the car park, away from other road-users. What better way could there be to try various machines before buying a classic, or to experience something that you may not otherwise consider? 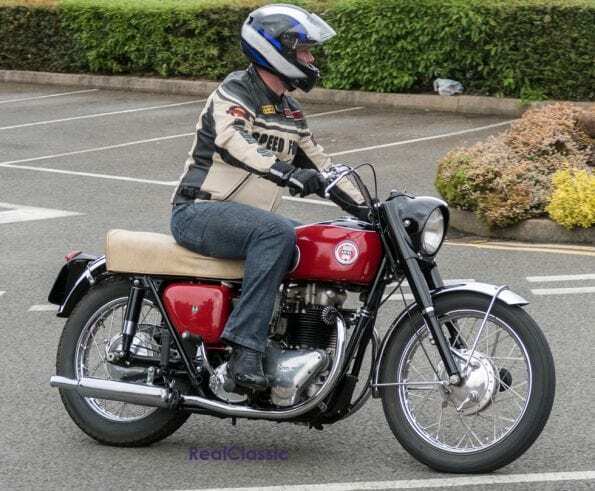 I’m not sure who was the more courageous – the NMM for bringing this venerable old New Comet out to be ridden or the riders who took the opportunity to put it through its paces. AH Haden of Birmingham started New Comet in 1905 using Zedel and Peugeot engines, graduating to Sarolea and JAP and then, from 1911, Precision. 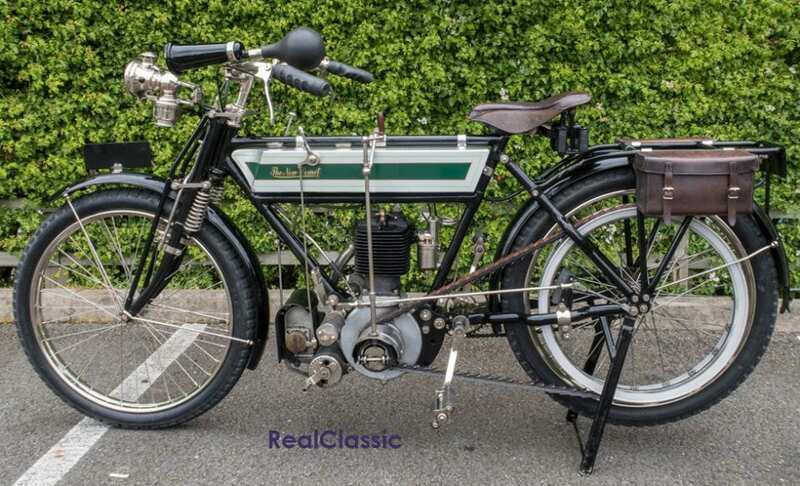 This model must date from around that period, believed to be circa 1910, as it has the 499cc sidevalve Precision engine, a popular choice for manufacturers of the time. It’s rated at 3½hp which was more than sufficient for some riders once the push-start process had been completed; it seemed to shoot off like a rocket – or perhaps comet is more appropriate! 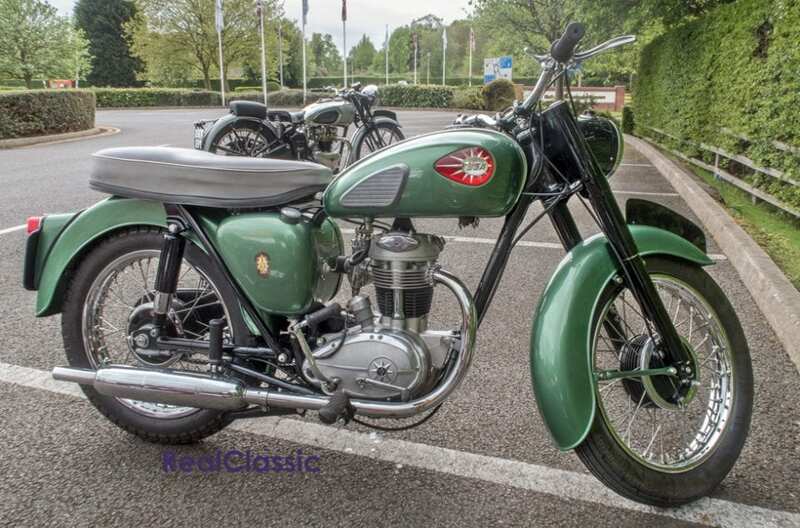 Ariel introduced its FH Huntmaster to the world in 1954, a twin cylinder 647cc ohv machine with Amal carburettor, Lucas magneto and four-speed Burman gearbox. Top speed was said to be 90-95mph (clearly not achievable on the museum circuit!) and fuel consumption of about 65-70mpg. Titch Allen rode one with a sidecar some 3600 miles around Britain, followed by a high speed test at Silverstone, all under ACU observation; the only significant failure was the timing-side main bearing bush. This one dates from 1958 and has the letters HCS stamped on the crankcase, suggesting that the motor at least belonged to a sports export machine. 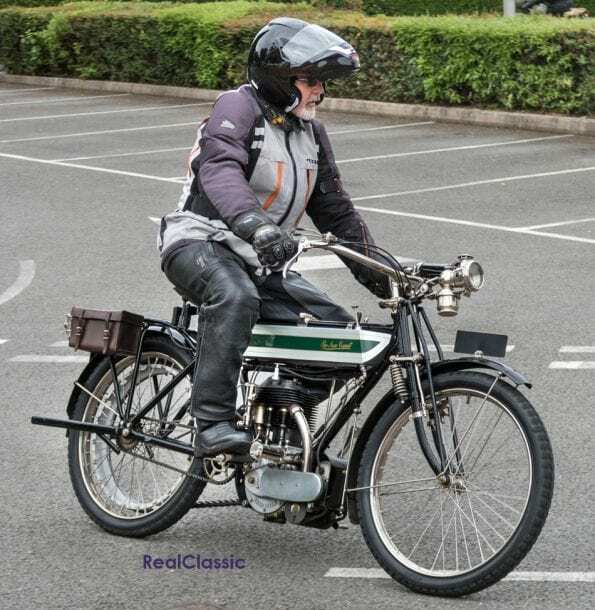 This prewar Triumph Tiger was a very popular machine with the riders at the event – it looked good, sounded great and would have gone a great deal faster had the circuit allowed. 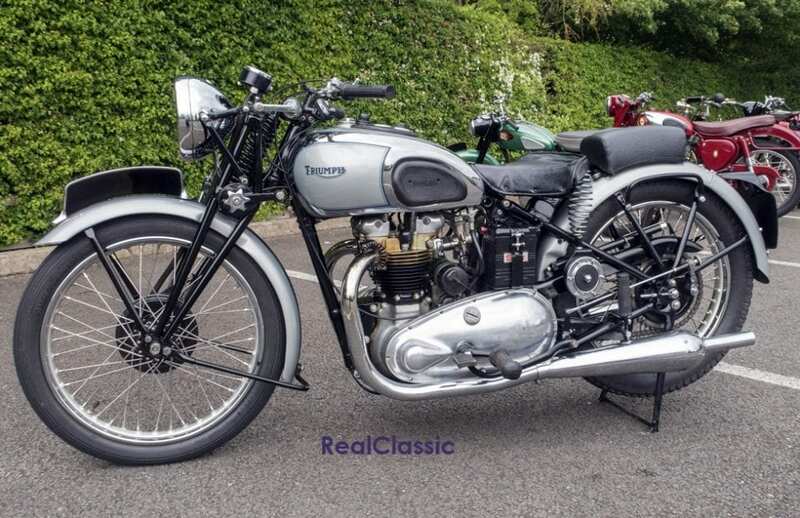 Triumph launched their iconic Speed Twin in 1937 for ’38, and the sporting Tiger followed in hot pursuit. This one dates from the beginning of the production run in 1939. A 498cc vertical twin engine with high-compression forged pistons, polished ports and internals meant that 100mph was achievable and if you took off the silencer end caps and you might be able to add another 10mph. 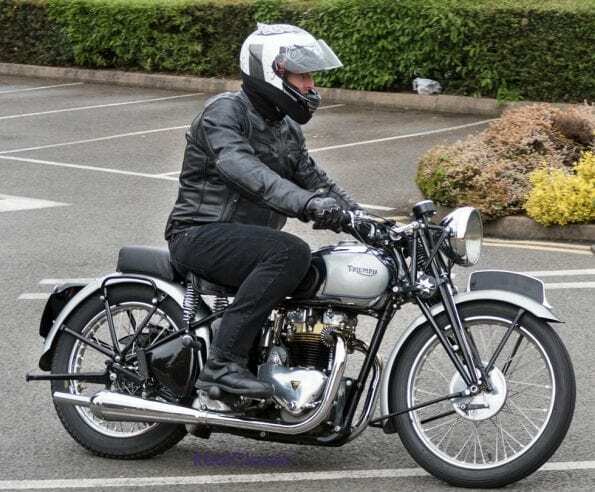 Try that with girder forks and pre-war brakes for a thrilling ride. 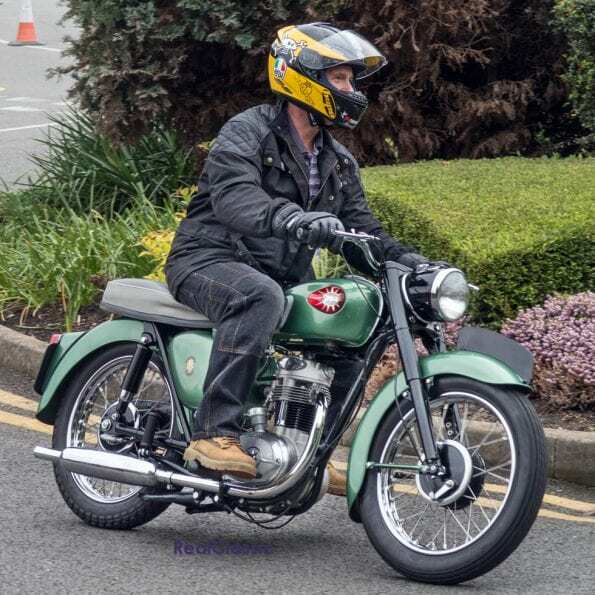 If you were looking for something with a little less pep or you needed a break from riding high-speed bolides then there were machines for you too, including this handsome little BSA C15. This example was apparently built in 1962, some three years after BSA introduced its unit single engine to replace the aging C12. 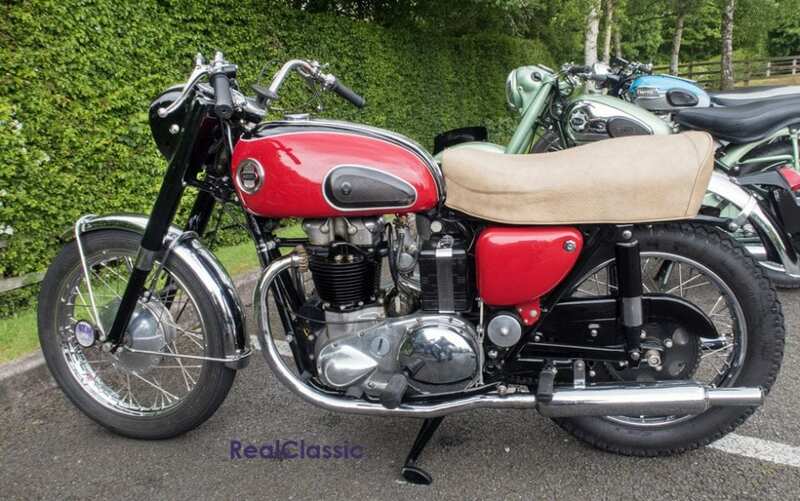 The intention was that the bike would be simple and reliable, and would look good to its target market – novice and young riders who, in those heady days, could ride a 247cc machine. The ohv power plant was housed in a single loop frame with twin rails beneath, fed by an Amal carburettor, passed its power through a four-speed gearbox and was electrified by an alternator. Telescopic forks at the front, swinging arm suspension at the rear with six-inch drum brakes fore and seven-inch aft completed the package. Dry weight was about 280lb and power output 15bhp which may have been good for 70mph. You may have noticed that I said it was ‘apparently’ manufactured in 1962 – the engine number suggests 1964 and is lower than the supposed first number of 101. Any ideas? 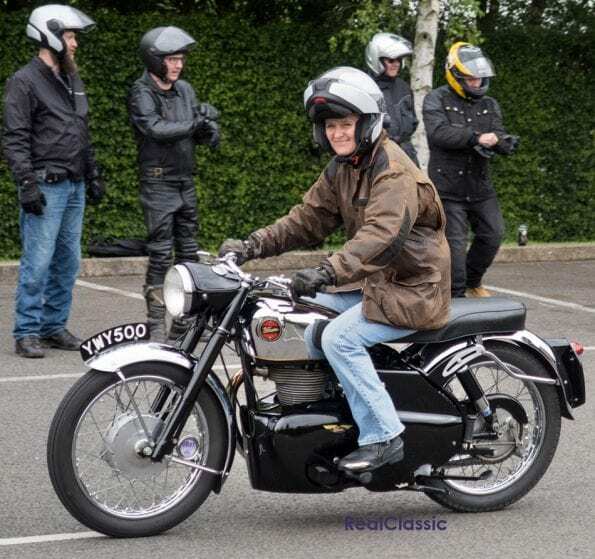 Lynn Edmonds had said to me that this event had the biggest smile factor in Birmingham that Saturday and, judging by the Velocette rider’s grin, he was quite correct.